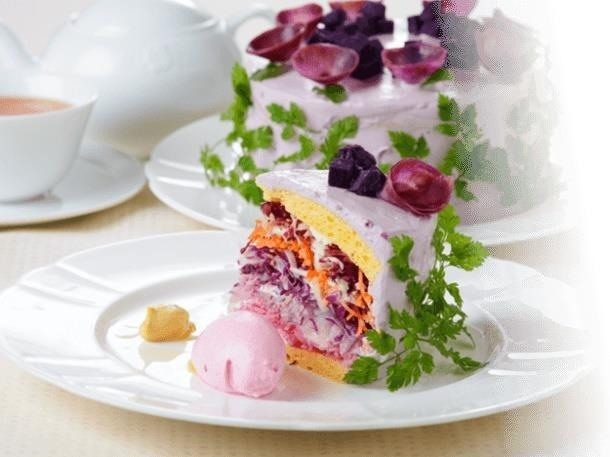 Japanese food stylist Mitsuki Moriyasu may have bested all these tricks when she came up with the idea for what she calls the "vegedeco salad," or salad disguised as cake. What Exactly Is a 'Salad Cake'? Is it a healthy dessert? Is it a more appealing salad? Well, let's break down what a salad cake is, for starters. The sponge part of the cake is made from soybean flour. The icing is made of cream cheese and tofu. 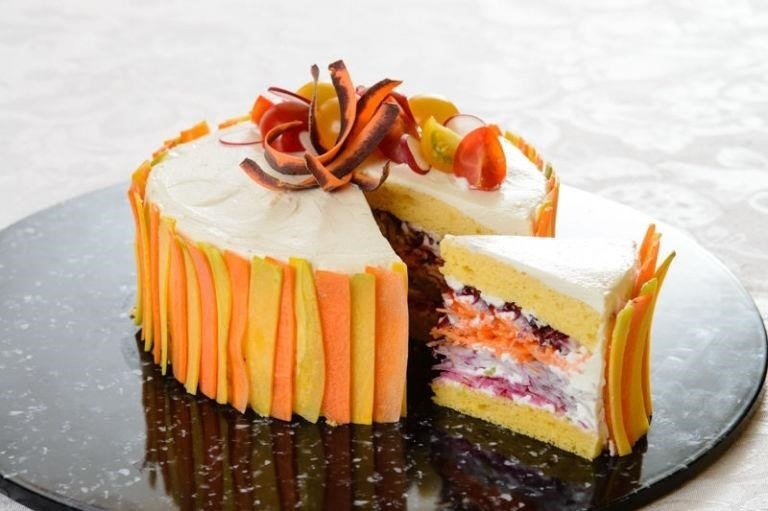 The rest of the cake is made of using the whole vegetables, including the root and the peel. Additionally, no sugar or additional fat is used. If I had to call it, it seems like just a pretty way to organize a salad to me, though the sponge and cream cheese really take it to the next level, visually. 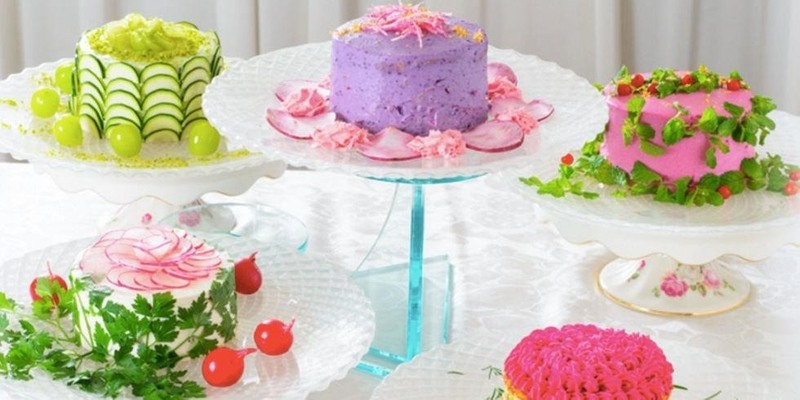 These "cakes" were such a popular item at Bistro La Porte Marseille in Nagoya, Japan that they've earned their own restaurant: the Vegedeco Cake Café will be opening in Japan on April 5th. That's right... a café full of fake cake. What will Japan think of next? Offerings will include various ingredient options, as well as carb- or gluten-free versions of the cakes seen on the site. Yum! Dayna Evans of New York Magazine's The Cut feels that "A salad cake, is still salad." The Tasting Table's Alison Spiegel said she'd "rather eat real cake. Or real salad for that matter." Tess Koman of Cosmopolitan suggests you only order them for a party "if you hate someone and want them to know your friendship is over." Do you think salad cakes will ever make it to the US? If, so would you try it?